Eco-friendly backpacks for kindergarten and elementary aged kids are easy to find. 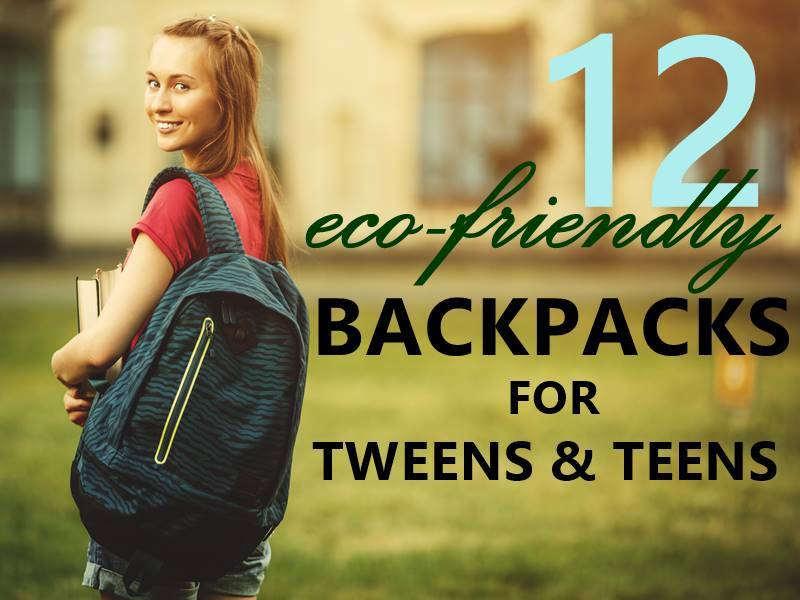 However, it can be difficult to find a decent eco-friendly back-to-school backpack for your tween or teen. 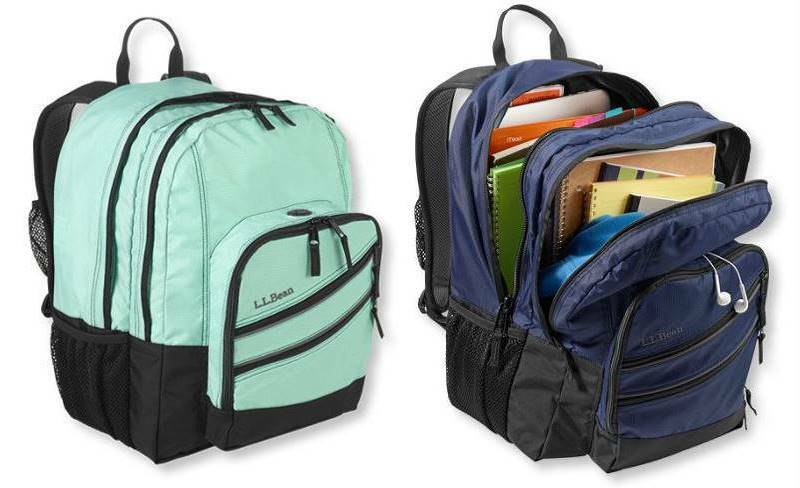 Today's tweens and teens carry a lot of stuff with them and they need a backpack that will stand up to the challenge. Backpacks made for little kids (eco-friendly or not) only hold so much. On top of the space issue, most eco-backpacks for "youth" that you come across are shaped like animals, come in bubbly pastel colors or are splattered with little kid designs -- none of which are going to fly with most tweens and teens. What you need is an excellent, sturdy backpack that will not only hold all your kid's gear but protect your older child from chemicals like PVC, phthalates, BPA and lead - bonus points if you can find a pack made with eco-friendly materials. We've taken the guesswork out of the search for the perfect backpack by rounding up 12 eco-friendly, low key backpacks for your older child, in colors and designs they won't sneer at. Take a look at the great choices below. 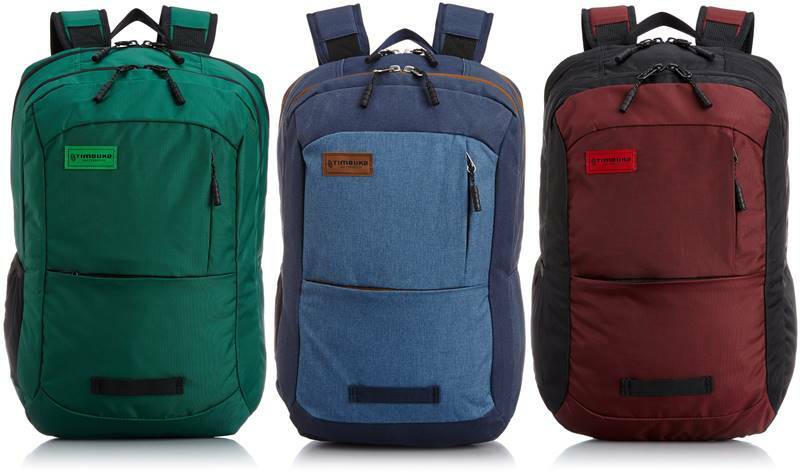 The 100% upcycled, water-resistant and limited edition Kasum Backpack features nicely padded handles and straps, quick zippers, and a laptop compartment designed to fit a laptop or tablet up to 15″. The bag is made from 100% upcycled materials, has handy exterior pockets along with an interior organization compartment and a water bottle pocket. Bonus, everything Looptworks makes comes with a Loopt4Life guarantee, meaning their products can be trusted to last a lifetime, or you know, at least through high school! All Ecogear bags are made with planet-friendly organic cotton, PVC-free materials, recycled plastics and toxic-free dyes and components. Their bags are coated with Ecoweave (EPO), a healthy alternative to chemical-emitting PVC. All Ecogear bags are also chlorine-free, contain no dioxin, phthalates or heavy metals and can be safely recycled, i.e. the bags create natural occurring emissions when burned. The clean and modern Dhole laptop backpack has a roomy main compartment which fits a laptop up to 15 inches and is constructed of rugged 900D polyester made from REPREVE which is fabric from recycled water bottles. There’s an organizer pocket for additional storage, dual side mesh pockets, and padded mesh shoulder straps, and a handy key clip, plus padded shoulder straps distribute weight evenly for comfort. Many colors to choose from. The Handcrafted Road Warrior Hemp Backpack is a super deluxe hemp backpack that fits a laptop computer, documents, clothing, and toiletries, with room to spare. 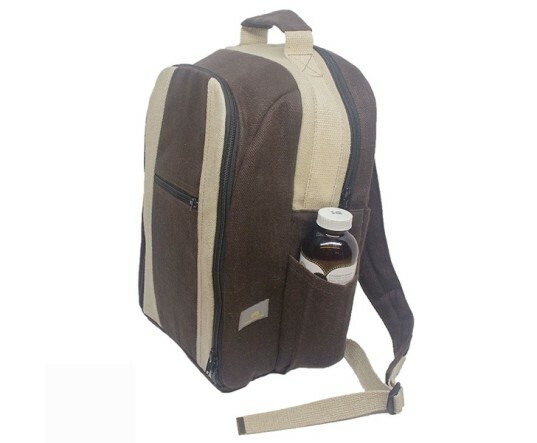 The pack holds a bottle on the left side and there is a zippered pocket on the right side. Full access front zippered panel opens flat for essentials and document stowage while the main compartment has a padded laptop pocket. The bottom part of the shoulder straps have three loops for hooking in bottles, pouches, and keys for easy access. The whole backpack is made from organically grown European hemp and is sweatshop-free and chemical-free. Patagonia is a super eco-friendly company, via corporate responsibility, materials used and their reuse and recycling ethics. 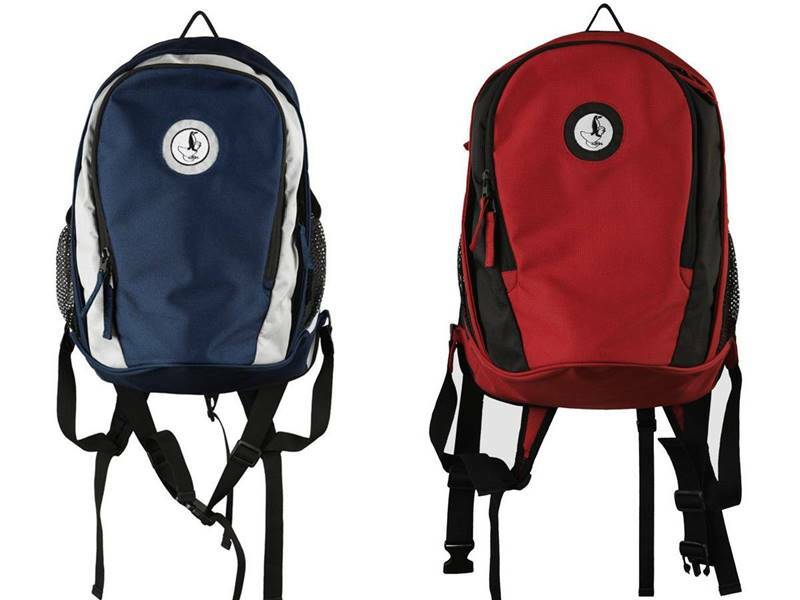 Plus, this company has oodles of backpacks to choose from, offering enough design and color choices to please even the pickiest tween or teen. All Ecogear bags are made with planet-friendly organic cotton, PVC-free materials, recycled plastics and toxic-free dyes and components. Their bags are coated with Ecoweave (EPO), a healthy alternative to chemical-emitting PVC. 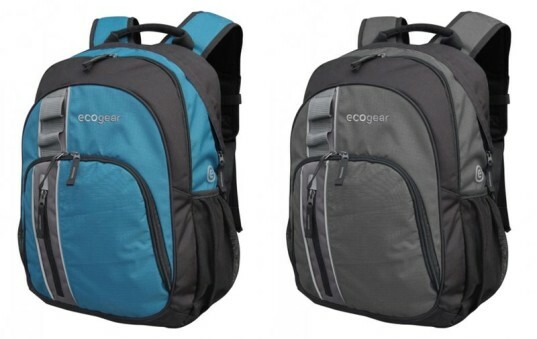 All Ecogear bags are also chlorine-free, contain no dioxin, phthalates or heavy metals and can be safely recycled, i.e. the bags create natural occurring emissions when burned. 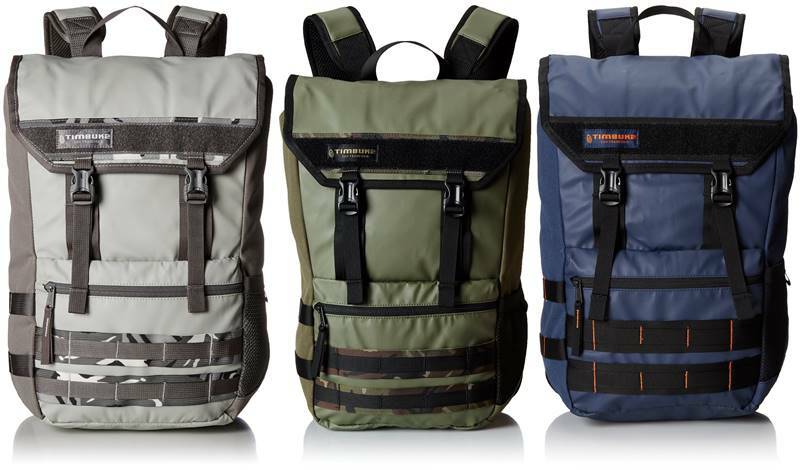 The Recycle Series Palila pack is Ecogear’s testament to the functionality of recycling. The Palila backpack is made from recycled PET bottles, constructed of Repreve RPET materials and non-toxic dyes. 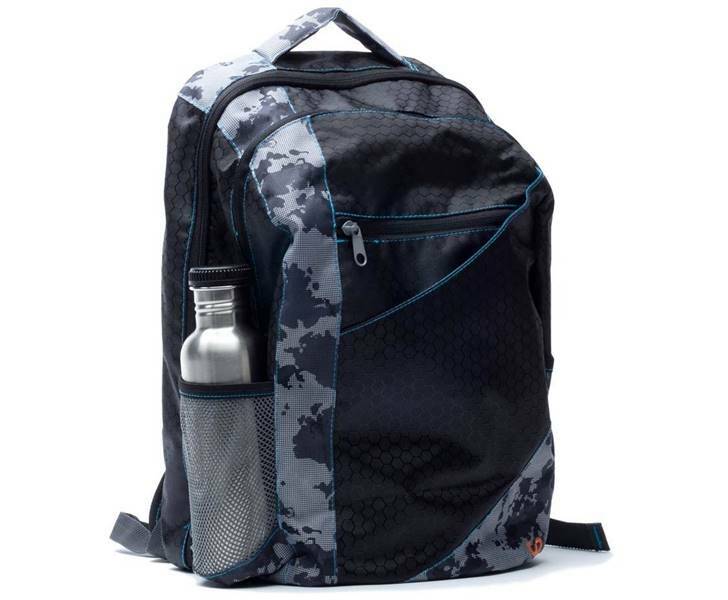 The bag features dual side mesh bottle pockets, ergo-padded shoulder straps, an internal organizer pocket, moisture wicking mesh back and three attractive colors available. The Voltaic Converter Solar Backpack is a streamlined bag that comes packed with 3.5 Watts of power to keep your teen charged up while on-the-go. The bag includes a padded laptop sleeve and sizable front pocket plus two interior pockets, laptop sleeve and front pocket for charging small electronics. High density padding in the shoulder straps and back keep the bag comfortable and the bag is made from recycled PET (soda bottles) fabric, is waterproof, lightweight and UV resistant. This perfect for campus laptop backpack is now 20% larger than their older design, with dedicated tech protection compartments and extra comfort features. The bag features weatherproof mini-ripstop nylon with a reinforced base, updated back panel padding with built-in lumbar support, dual-density padded ergonomic shoulder straps and a tuck-away waistbelt, plus a new fleece-lined interior pouch to safely stow phone or sunglasses. There’s an improved organization system with binder compartments, two water-bottle pockets and an audio cord port. Best of all, according to SafeMama’s safer backpack guide, LL Bean backpacks are free from PVC, phthalates, lead and BPA. Available in six colors. This medium sized multi-use pack comes with ample space and features KEEN Topo Foam backpanel, allowing air to move, keeping the user cool and comfortable. Wishbone yoke straps distribute the load across the shoulders for added comfort. There’s a hydration reservoir and the bag is laptop compatible. Made with recycled polyester exterior, recycled polyester lining. Plus, through the company’s Hybrid.Care giving program, they work with nonprofit partners to make a difference. In the last year alone, Keen helped permanently protect 13 million acres of land, teach Leave No Trace principles to more than 1,000,000 people, stop 9 proposed hydropower dams in the US, and removed nearly 40 tons of trash from our nation’s waterways. 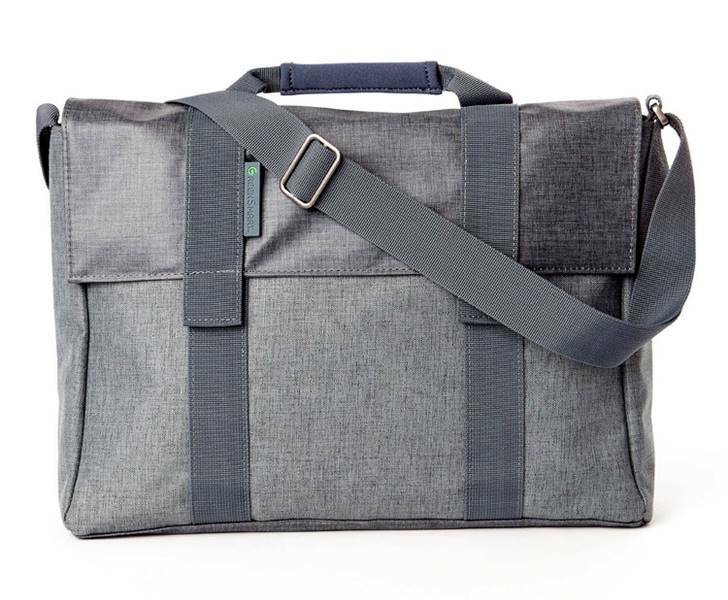 If your kid is more the satchel type, this lightweight bag is great, featuring compartments for a laptop, a tablet, and phone, as well as a zipped pocket for your valuables and a clip to secure your keys. There’s an easy access exterior earbud pocket and the bag fits MacBook 15 and laptops up to 14.4″ x 9.9″ x 1.” Exterior and interior fabrics 100% made from recycled plastic bottles. Comes in black or charcoal. The Engage Green Backpack is made from Recycled Plastic [PETE], a high-quality polyester fiber made from 100% PETE bottles, post-consumer. The fabric is chemically and functionally nearly identical to those made from non-recycled fabrics. The compartment that rests on the body is padded for comfort with plenty of space for an iPad, or notebooks or big enough to place books, with an additional pocket for easy storage of your digital music player. The middle, or main compartment, has a padded partition to fit up to a 14″ laptop with a Velcro closure for secure transportation and good extra space for books and folders. There’s a key clip holder, two mesh holders on the side, adjustable waist strap and padded shoulder straps with chest and hip buckle closures to hold the backpack securely to the body. Three animal-free dyed colors/designs to choose from. 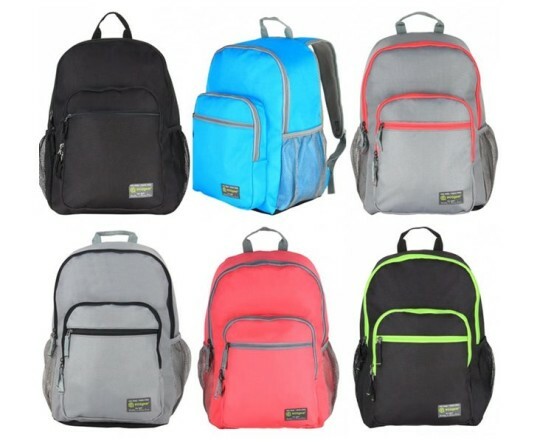 Check out any of the above stores online to see more tween and teen suitable backpacks or visit The Ultimate Green Store to see a nice-sized collection of various eco-friendly backpacks. 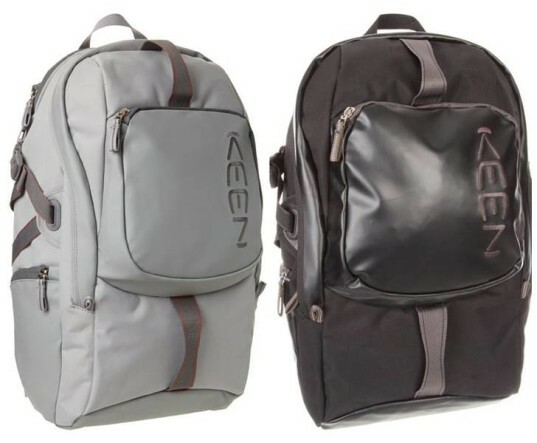 The 100% upcycled, water-resistant and limited edition Kasum Backpack features nicely padded handles and straps, quick zippers, and a laptop compartment designed to fit a laptop or tablet up to 15". The bag is made from 100% upcycled materials, has handy exterior pockets along with an interior organization compartment and a water bottle pocket. Bonus, everything Looptworks makes comes with a Loopt4Life guarantee, meaning their products can be trusted to last a lifetime, or you know, at least through high school! All Ecogear bags are made with planet-friendly organic cotton, PVC-free materials, recycled plastics and toxic-free dyes and components. Their bags are coated with Ecoweave (EPO), a healthy alternative to chemical-emitting PVC. All Ecogear bags are also chlorine-free, contain no dioxin, phthalates or heavy metals and can be safely recycled, i.e. the bags create natural occurring emissions when burned. The clean and modern Dhole laptop backpack has a roomy main compartment which fits a laptop up to 15 inches and is constructed of rugged 900D polyester made from REPREVE which is fabric from recycled water bottles. There's an organizer pocket for additional storage, dual side mesh pockets, and padded mesh shoulder straps, and a handy key clip, plus padded shoulder straps distribute weight evenly for comfort. Many colors to choose from. This cool military-inspired backpack has a slim, urban profile and a stretchy, air mesh laptop sleeve to keep your laptop safe and cool. Internal organization provides a place for pens and power cords. The bag features a bottle opener for "hydration emergencies" and daisy-chain webbing provides attachment points for your U-lock, carabiners or more serious strap-on accessories. Nine color styles to choose from. Timbuk2 products have a lifetime warranty and this is an ethical eco company as well, starting with their Timbuk2 Life Cycle program - they'll repair, reuse, re-imagine or recycle your bag for you as needed. They also offer many products made with recycled materials and as they put it, "refuse to use materials considered toxic by the global community." All Ecogear bags are made with planet-friendly organic cotton, PVC-free materials, recycled plastics and toxic-free dyes and components. Their bags are coated with Ecoweave (EPO), a healthy alternative to chemical-emitting PVC. All Ecogear bags are also chlorine-free, contain no dioxin, phthalates or heavy metals and can be safely recycled, i.e. the bags create natural occurring emissions when burned. The Recycle Series Palila pack is Ecogear's testament to the functionality of recycling. The Palila backpack is made from recycled PET bottles, constructed of Repreve RPET materials and non-toxic dyes. The bag features dual side mesh bottle pockets, ergo-padded shoulder straps, an internal organizer pocket, moisture wicking mesh back and three attractive colors available. This perfect for campus laptop backpack is now 20% larger than their older design, with dedicated tech protection compartments and extra comfort features. The bag features weatherproof mini-ripstop nylon with a reinforced base, updated back panel padding with built-in lumbar support, dual-density padded ergonomic shoulder straps and a tuck-away waistbelt, plus a new fleece-lined interior pouch to safely stow phone or sunglasses. There's an improved organization system with binder compartments, two water-bottle pockets and an audio cord port. Best of all, according to SafeMama's safer backpack guide, LL Bean backpacks are free from PVC, phthalates, lead and BPA. Available in six colors. 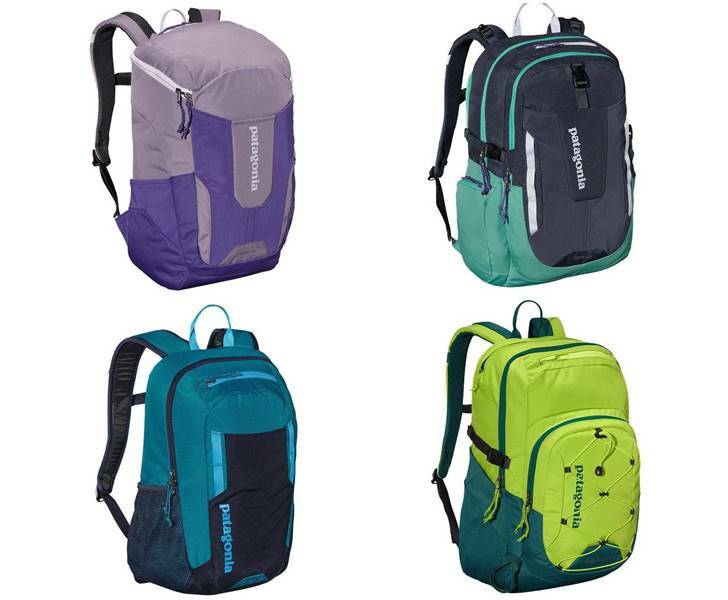 This medium sized multi-use pack comes with ample space and features KEEN Topo Foam backpanel, allowing air to move, keeping the user cool and comfortable. Wishbone yoke straps distribute the load across the shoulders for added comfort. There's a hydration reservoir and the bag is laptop compatible. Made with recycled polyester exterior, recycled polyester lining. Plus, through the company's Hybrid.Care giving program, they work with nonprofit partners to make a difference. In the last year alone, Keen helped permanently protect 13 million acres of land, teach Leave No Trace principles to more than 1,000,000 people, stop 9 proposed hydropower dams in the US, and removed nearly 40 tons of trash from our nation’s waterways. If your kid is more the satchel type, this lightweight bag is great, featuring compartments for a laptop, a tablet, and phone, as well as a zipped pocket for your valuables and a clip to secure your keys. 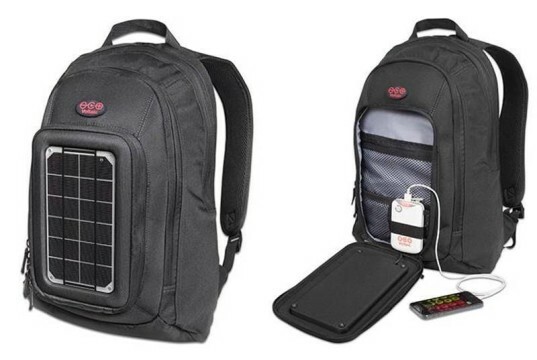 There's an easy access exterior earbud pocket and the bag fits MacBook 15 and laptops up to 14.4" x 9.9" x 1." Exterior and interior fabrics 100% made from recycled plastic bottles. Comes in black or charcoal. The Parkside has a clever pocketing system that provides a place for your phone, cards, and keys, and its padded laptop sleeve carries up to a 15" MacBook Pro. The roomy main compartment can accommodate layers and even a pair of shoes, and its external water bottle pocket doubles as a u-lock holder for days your kid rides his bike. The ventilated back panel gives your back breathing room and the on-strap bottle opener helps with quick refreshment. As noted above, Timbuk2 products have a lifetime warranty via their Timbuk2 Life Cycle program - meaning they'll repair, reuse, re-imagine or recycle your bag for you as needed. They also offer many products made with recycled materials and as they put it, "refuse to use materials considered toxic by the global community." The Engage Green Backpack is made from Recycled Plastic [PETE], a high-quality polyester fiber made from 100% PETE bottles, post-consumer. The fabric is chemically and functionally nearly identical to those made from non-recycled fabrics. The compartment that rests on the body is padded for comfort with plenty of space for an iPad, or notebooks or big enough to place books, with an additional pocket for easy storage of your digital music player. The middle, or main compartment, has a padded partition to fit up to a 14" laptop with a Velcro closure for secure transportation and good extra space for books and folders. There's a key clip holder, two mesh holders on the side, adjustable waist strap and padded shoulder straps with chest and hip buckle closures to hold the backpack securely to the body. Three animal-free dyed colors/designs to choose from.